With only six days left until the end of the DreadBall 2 Kickstarter, we thought we’d take a look at the massive variety of teams that play the galaxy’s greatest sports game! 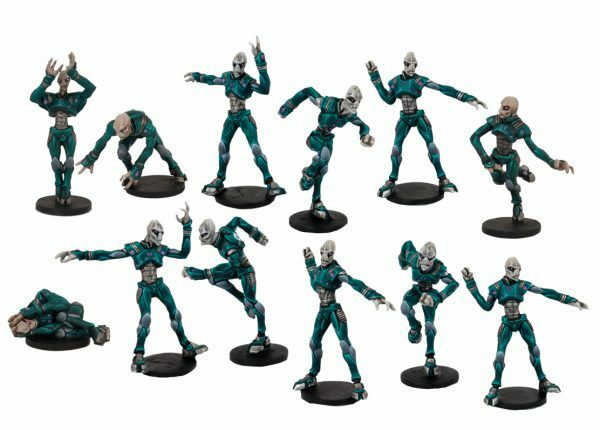 You can add any of these as add-ons on the Kickstarter, including the brand new Matsudan, Neo-Bots and Yndij! Pledge now! Don’t know the difference between a Mutant and a Mechanite? Unsure whether it’s culturally insensitive to call a Forge Father a Dwarf? Are all Zees really actually named “Zee”? Fret not! 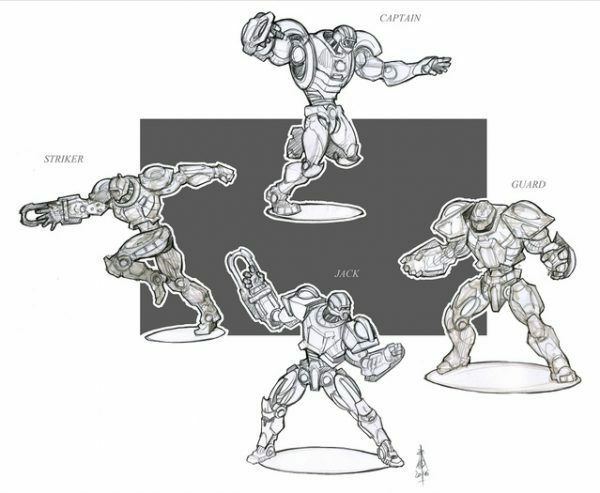 This quick spotter’s guide to all known DreadBall teams is here to help you get on your feet! 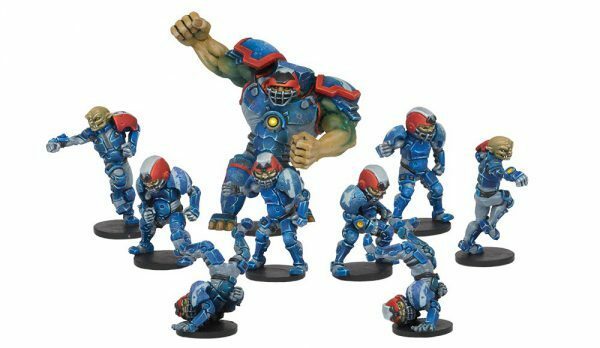 The original and the best all-Human team to take to the DreadBall pitch, the TronTek name promises excellence in athleticism. The ultimate all-round team. They are able to adapt to any situation and, while they do not excel at anything, they are able to take advantage of other team’s weaknesses by simply having none of their own. 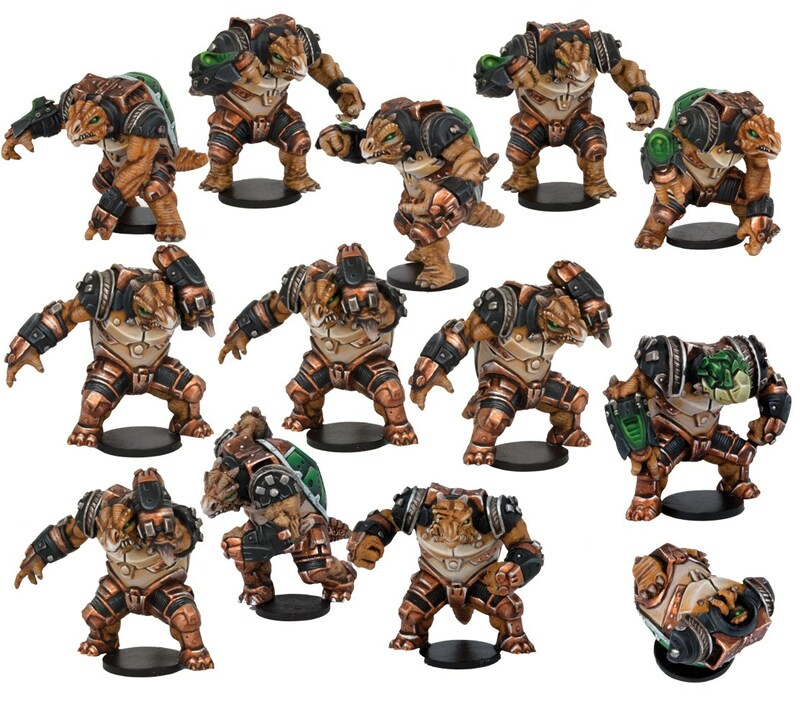 Lean, mean, green – The Greenmoon Smackers are the original bruisers of the Dreadball circuit. 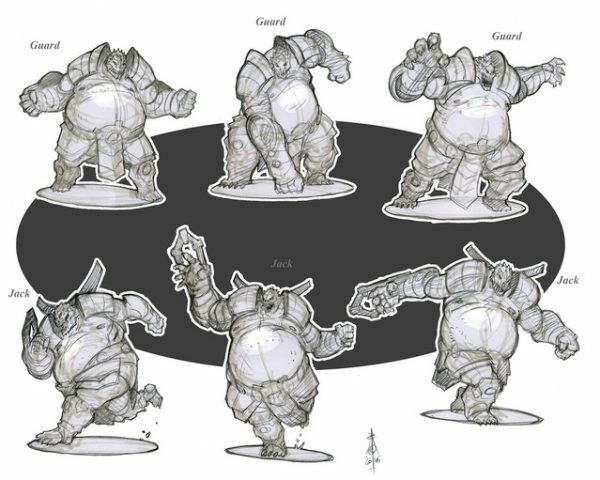 The strength of the Orcs is used to smash their way through the lines of their opponents. When these holes inevitably appear the quicker and more skill full goblins dart through for the Strike. Utterly unrelated to the rumoured savage creatures that stalk the halls of GCPS spaceships, bringing disease and plague wherever they roam, the Skittersneak Stealers are an unlikely fan favourite with a range of adorable plush toy mascots for kids to enjoy. 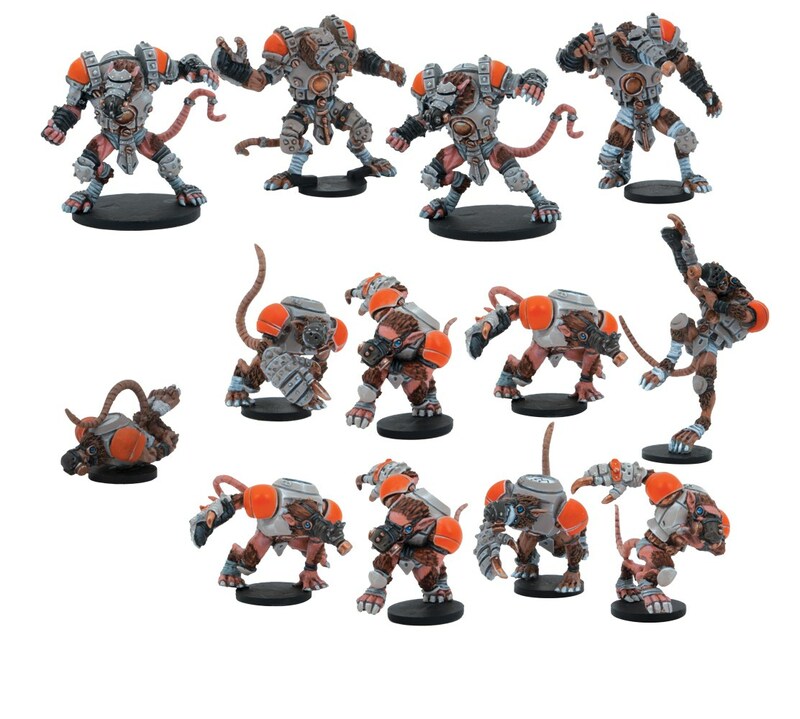 Arguably the fastest team in the DreadBall League, relying on Speed rather than Skill to get past their opponents and to sneak their way in to the opposing Strike Zone. Don’t count on holding the ball for long when playing against them – stealing the ball and maximising the number of shots on goal is the order of the day for these dirty rats. 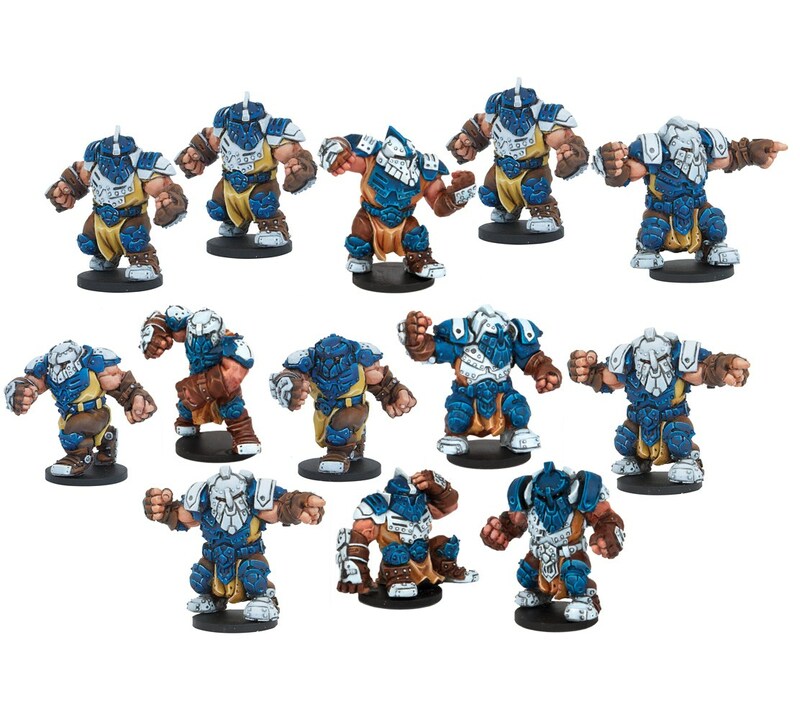 As tough as duranium and about as dense, the Midgard Delvers will slowly grind down and pound their opponents off the pitch. Only then, once their opponent has been beaten into submission will the Strikers emerge and look to seal the win. Sometimes, you need a Striker to shoot a Strike, and a Guard to keep that Striker safe. But what if that Striker could also be a Guard? An impossible dream, right? Dream no more! The Chromium Chargers are the pinnacle of robotic technology and able to adapt on the pitch as circumstances require, transforming from one specialised build into another in the blink of an eye. Each Charger can be a Guard, Jack or Striker, and change several times throughout the match. Never be at a loss for a specific player type again! Bugs! Insects! Creepy crawlies! 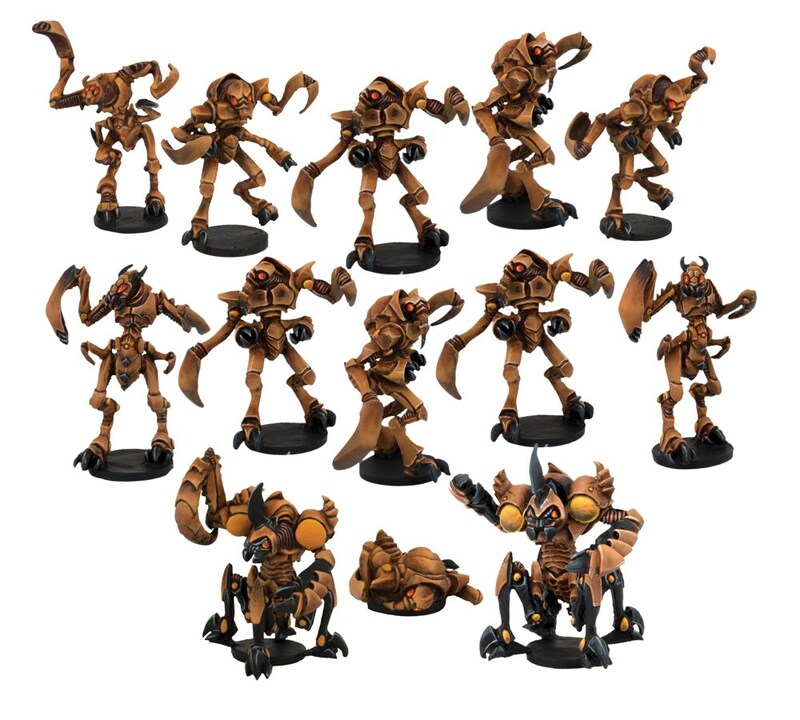 Not for the arachnophobic, the Z’zor are an unnerving team of alien critters that just plain move wrong, the Z’zor team has a distinct species for each position on the pitch. The whole team can shrug off minor injuries, and their single Guards are able to dish out major injuries in turn, while the Jacks and Strikers take care of the scoring in equal measure. 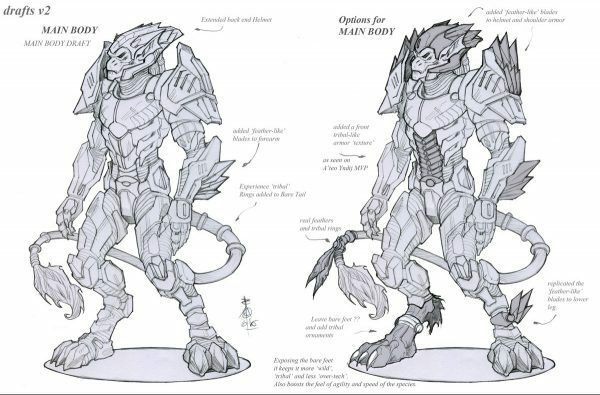 The Judwan believe in absolute pacifism, which leads many to wonder what the heck they think they’re doing on the DreadBall pitch. But anyone who has seen them dance and sway between clumsy players who seem to only be grasping at shadows in their wake knows that you don’t need to be able to Slam to win a game when you can feint and misdirect your opponents. Perfect for coaches who like the running and passing game but abhor violence. 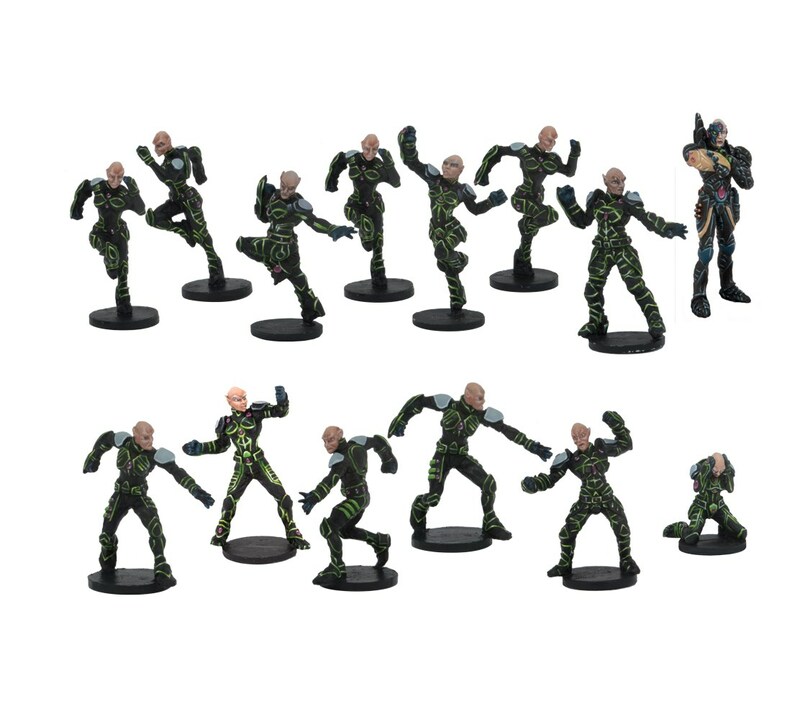 The Void Sirens pioneered a very physical style of DreadBall, relying on running interference on the other team’s plays to upend their plans and take control of the situation. All Jacks have a knack for turning up where they’re least expected, but the Void Sirens make interrupting your opponent’s turn into an art form. An ancient and noble race, privy to secrets of the Universe beyond the comprehension of the younger races, the Asterians turn all the grace and wisdom that is their heritage towards… faking Injuries, Dirty Tricks, cheating and doing their best to get the other team sent off for fake fouls. Whenever they’re not mugging for the camera, though, the Asterians are amongst the quickest and most agile teams in the game – but don’t let them take a hit, as their fragile constitutions don’t give them much staying power. 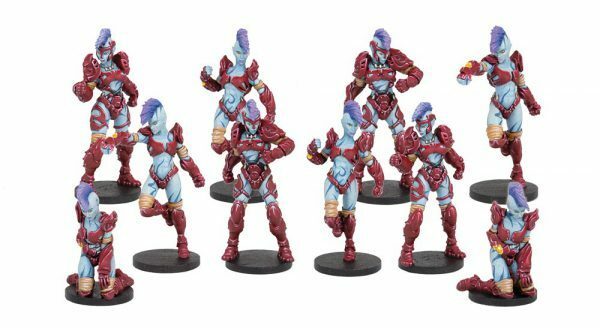 The Kalimarin Ancients are one of the more unusual looking teams to take to the DreadBall pitch. Each player brings a different aspect to their game: the Tentacled players hold their opponent in place while the Crab-handed Guard will make short work of the unfortunate player. Then the Striker will scuttle by to score. Any resemblance to ancient human fever-dreams of chthonic horrors is, they assure us, entirely co-incidental, and they’re just honest joes trying to make a living. Thinking otherwise is just plain speciesism. The Teraton Empire is an ancient and well respected polity in the Galactic Co-Prosperity Sphere, whose hot-blooded young males wander the space lanes looking to prove their worth to the older, wiser, and much larger females of their race. 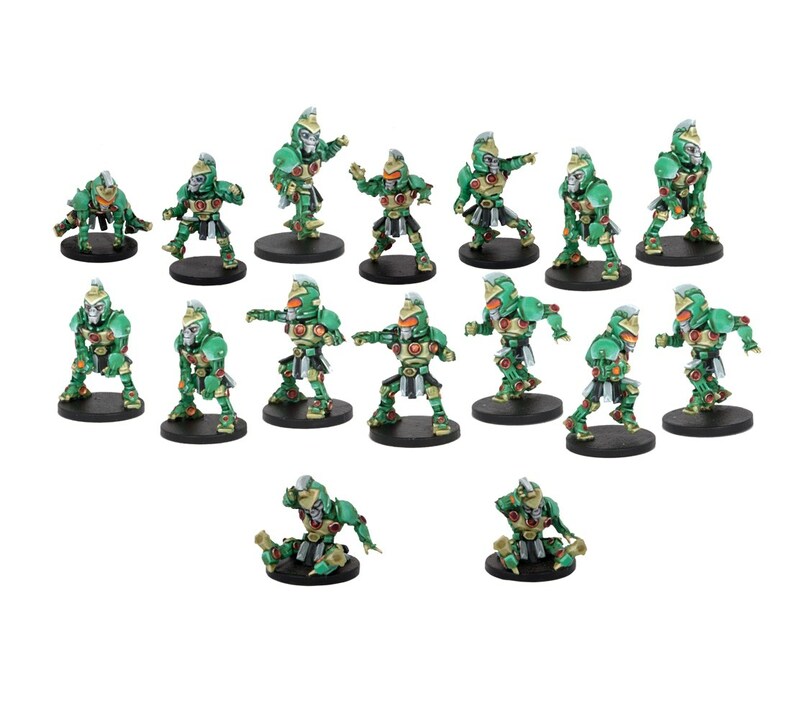 Playing DreadBall is one of the more financially rewarding expressions of this youthful vigor, and the fans love to see these teleporting thunder lizards play: These giant lizards punch hard and are difficult to pin down as their natural ability to teleport means that they can escape any danger that they may be in. What they lack in strength, physical co-ordination, or size, the Zees make up for in sheer weight of numbers. Like the Asterians, these monkey-like clones cheat so darn much that the poor RefBot can’t keep up with all the mayhem they bring to the pitch, letting their Coach get away with illegal manoeuvres or getting the wrong man sent off for something their brother did. Given enough monkeys and enough typewriters (or enough DreadBalls…) chances are you’ll get a Strike! An aquatic species, the Sphyr are something of a nomadic people after their watery homeworld was boiled dry after an orbital weapons test gone awry. (On the plus side, the planet’s arid surface is now home to famous Dustbowl DreadBall stadium). But not all Sphyr harbour a grudge, and instead bring their natural athleticism to the DreadBall arena to the delight of young and old alike. The Nemion Oceanics play an aggressive game. They look to move quickly and keep the pressure on their opponent’s Strike zone. Unlike other attack minded teams they are still able to mount a strong defence against their opponent. 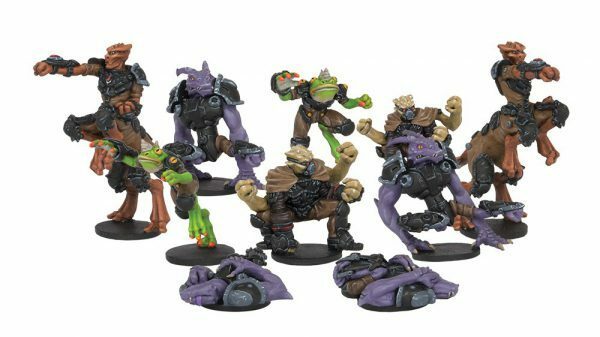 The adventurers of Forge Father society, the Brokkrs are, if anything, even more hard-headed and stubborn than their kinsmen. There is a saysing that you can never keep a good Brokkr down and this is reflected in how they play DreadBall – you might be able to knock a Brokkr out of the way, but you’ll never knock them down. Literally. Whether this team is playing up “Rebel Chic” for the cameras, or if they’re really a cell of genuine anti-GCPS freedom fighters using DreadBall as a money laundering front for their brother and sister revolutionaries fighting against the Corporation across the galaxy might be an open question, but one thing is for sure: this rag-tag bunch of misfits sure can play DreadBall. The Unincorporated are a mishmash of different races pulled together in order to play the game that they love, and while each of their specialised players is good at what they do individually, it’s only by working together that the team truly shines. Do not let the name fool you – the Rallion Roses stink. The smell is so bad that it is a constant distraction to their opponents – just standing next to a Hobgoblin has proven to noticeably degrade the performance of rival players. The only thing worse than the smell is the bruises and broken bones you get when the seven-foot tall Hulk is through with you. The Red Planets came in peace – so why is everyone screaming and on fire? 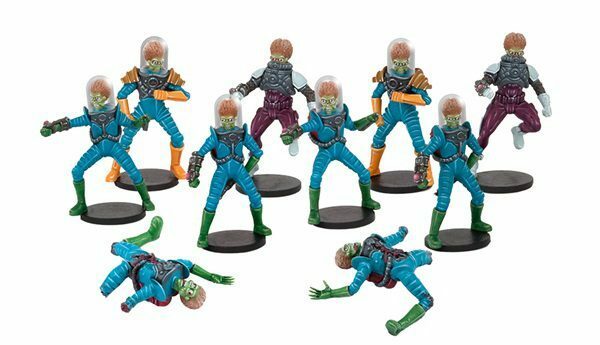 They might not be the most technically skilled team in the game, or the strongest, and their big glass helmets might be prone to cracking under pressure, what the Martians do have are deadly ray guns smuggled onto the pitch and a willingness to use them. Ack! Ack! Ack! Everyone loves a good redemption story – which is why this team went out of their way to manufacture one. Whether the Long Rock Lifers really were criminals bound together in an unlikely partnership by an inspirational coach who hopes to lead them to DreadBall glory (and along the way have all involved learn a little about themselves) or if they’re just violent psycopaths barely held in check by the threat of the electric shock collars they all wear the DGB leaves as an exercise for the viewer. 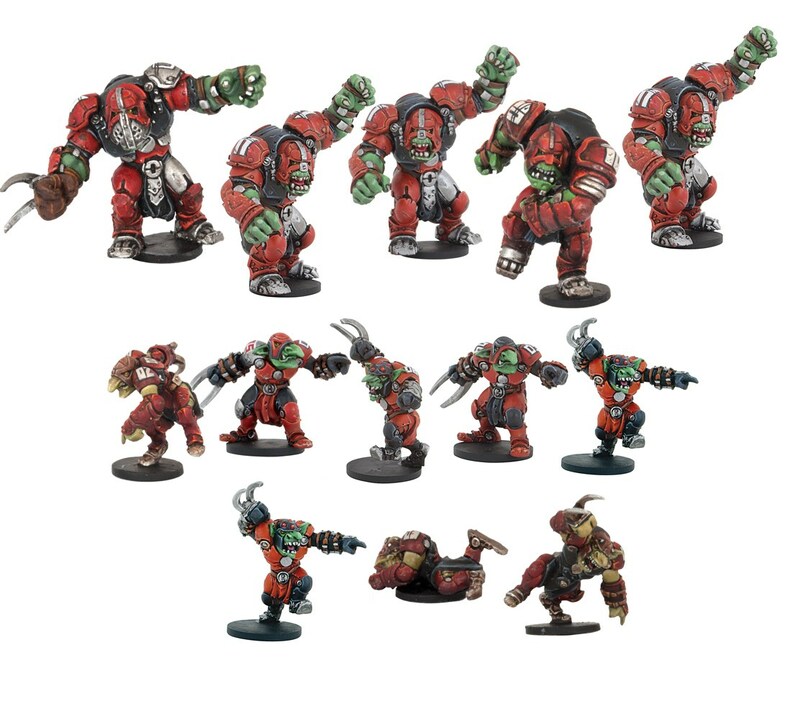 What is known is that the Grogan Guard is one of the most aggressive players in the game, leading this team of all-rounders into a very violent and physical style of DreadBall most teams can’t hope to match. The Kalyashi believe that in their pursuit of balance in the universe, the Asterian people have abandoned something vital and primal their ancestors once embraced. 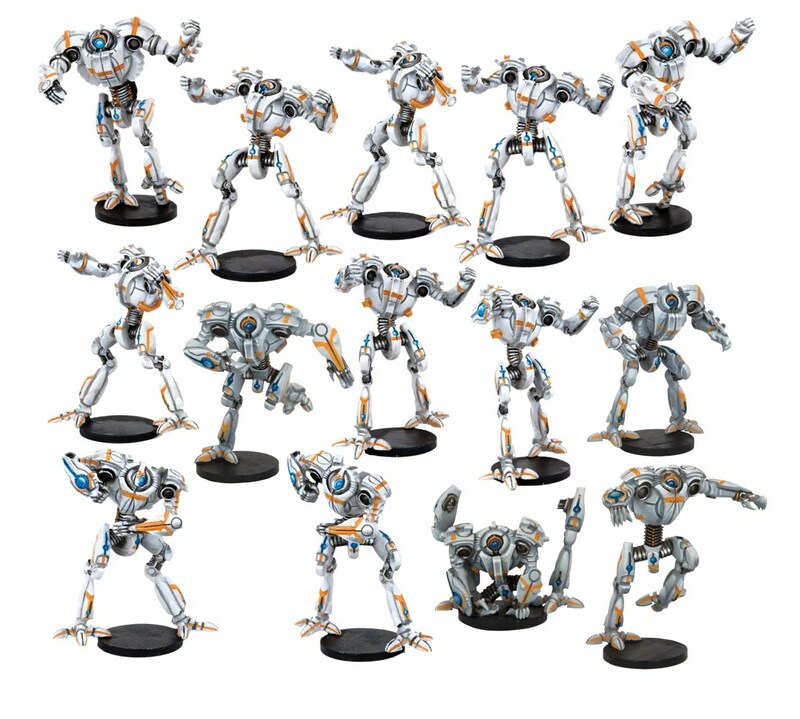 They also believe that rolling around on the floor clutching your shins and claiming that the other guy hit you from behind is no way for a proper DreadBall player to behave – they would much rather be the ones doing the backstabbing themselves. Combined with the speed and agility that all Asterians possess, you have a formidable team that combines ball skill and brawling in a lethal combination. They said he was mad. Mad! 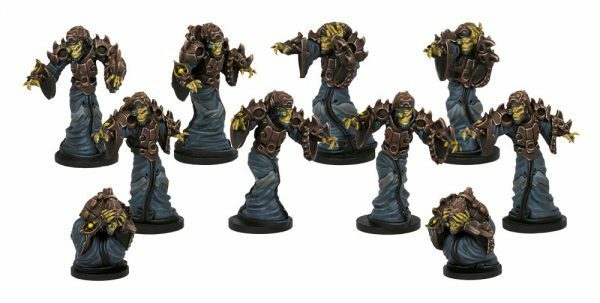 But he’ll show them – with his custom mutated players, built to order for anyone willing to meet the price, Dr Zarathusa Kain will cackle maniacally to the bank on the back of the twisted monstrosities pouring forth from his vats! All hail the new flesh – custom-build a team to your own specifications from the raw stuff of life itself. Decide on the stats and abilities you want for your players. Just be prepared to clean up the mucous afterwards. 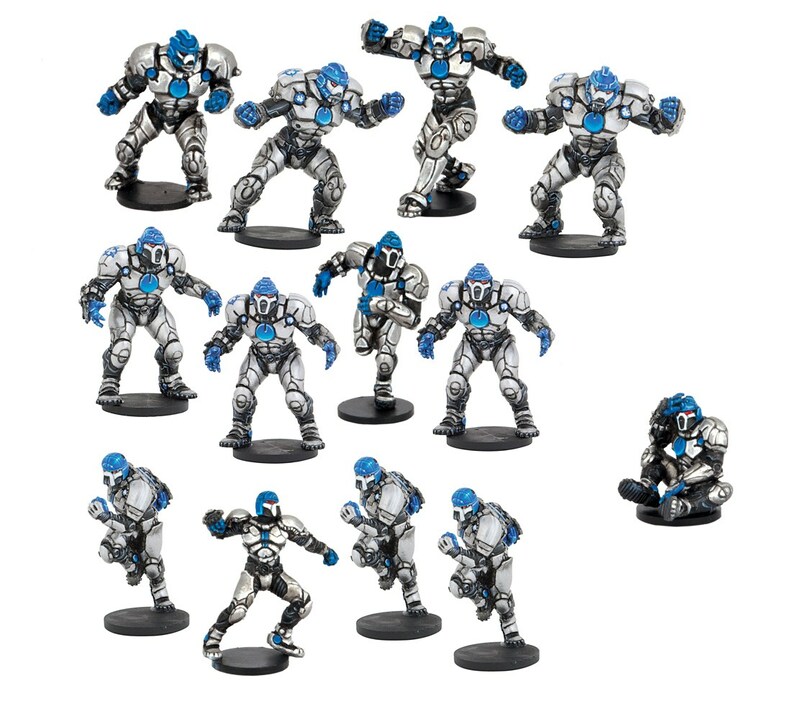 Where the Chromium Chargers represent the peak of robotics design, sleek and precision-engineered to shiny, curved, white plastic perfection, the Ro-Tek Brutes are made out of scrap parts and able to be assembled to the configuration of their controller. Much like the Kovoss Kryptics, the Mechanites are a build-your-own team, offering you the chance to custom-build a team to your own specifications, picking the stats and abilities you want to use in your quest for robotic supremacy. The Sulentic Shards are tough as rock. Slow and purposeful their players deliberately and purposefully make their way up the field towards their opponents. The only thing that is scarier than a lone Crystalian is groups of two or three Crystallans – the harmonic resonance they share means that while individual Crystallans are strong, together they are even stronger. While unexceptional in terms of strength or dexterity, the Tsudochan have the uncanny ability to push rival players aside with a mere gesture – or use this talent to reposition their own players before committing to a dazzling play. The Tsudochan play DreadBall like a chess game, where positioning is the key to victory. To hear them tell it, this power is the result of years of dedicated training and study of the mysteries of the Galactic Truth – and they will tell you, at length, with several explanatory pamphlets and offers to sign up for their correspondence course – and that any connection between their powers and the mess of wires and gizmos up their sleeves is entirely co-incidental. Whatever the Koris lack in raw physical strength or dexterity – which to be fair, is roughly on par with that of the average player – they more than make up for with their species natural ability to tunnel through the fabric of our dimension, opening up portals on the pitch that allow them to take short-cuts across the pitch, or slam their opponents into them to move them out of position. 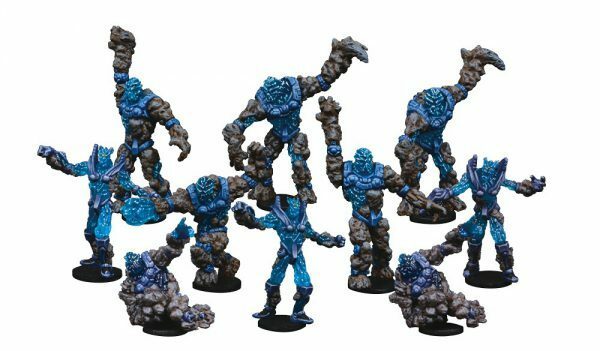 They came from a higher dimension, beings of pure energy, luminous and wise, with a single overwhelming purpose – to play DreadBall! 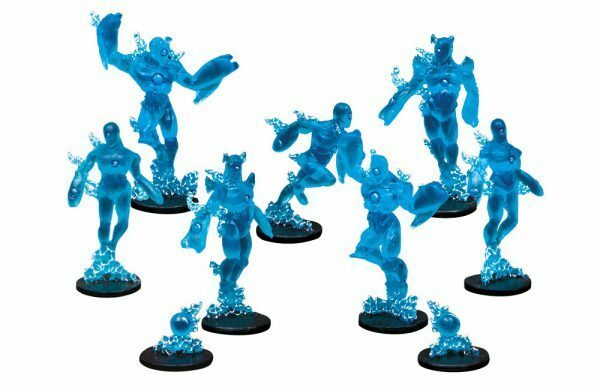 The Glambek Ghosts are one of the strangest teams to take to the DreadBall pitch. While they are equally as strong as they are skill full it is the fact that they are able to turn insubstantial and Phase through opposing player as if they were not there that makes them a force of nature on the neodurium. 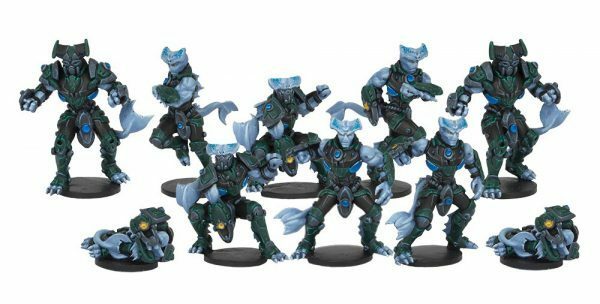 Programmed with the killer moves of DreadBall stars from the game’s infancy to the present, the Draconis All-Stars are a flexible team of all-rounders. Using advanced logarithms and analytics, they hit the pitch perfectly calibrated to maximise their effectiveness and minimise their weaknesses – before having their programming reset for the next game. Quick and agile, the Yndij turn the grace and speed that is their heritage into an almost ballet-like performance on the pitch. While they might not hit as hard as other teams, their natural ability to duck and weave their way out of tight spots mean that it’s hard for opposing Guards to lay fists on them as they dart to the Strike Zone. Slow and deliberate, you might be forgiven for thinking these lumbering lizards are all brawn and no grace. The truth is, the Matsudan believe in picking their moments – when they commit to a play, their earlier deliberation is replaced by lightning-quick movements. No-one can stand in the way of a Matsudan when they slam into action, pushing their foes about the pitch with thunderous strength. 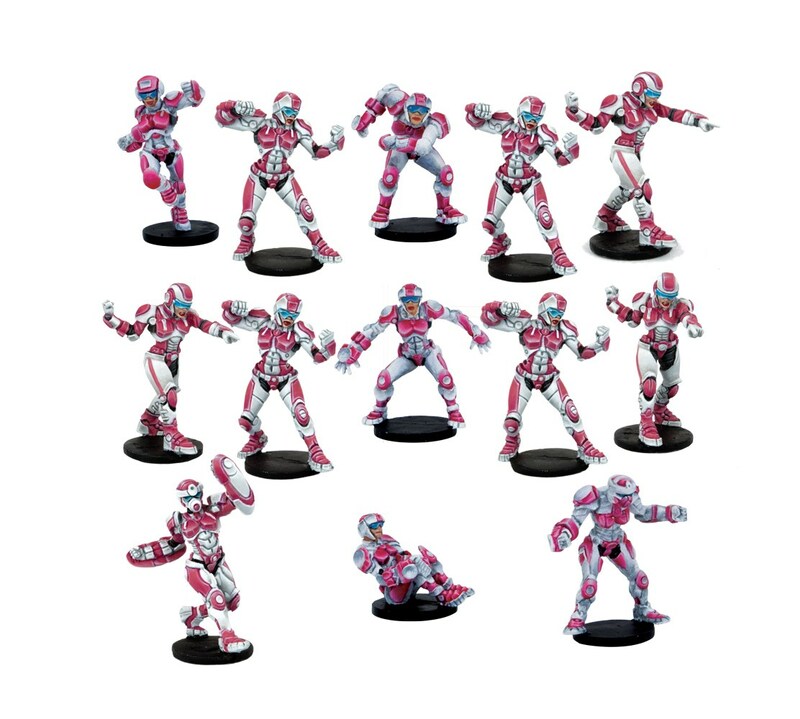 Fancy even more DreadBall? 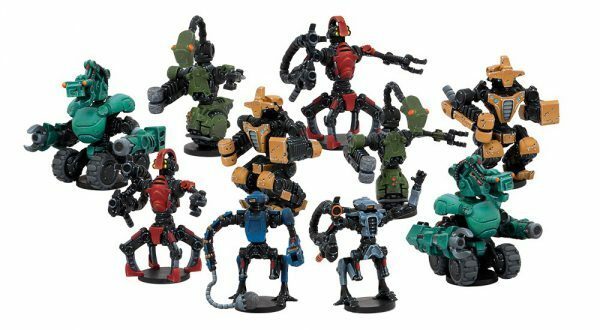 The DreadBall 2 Kickstarter ends in just six days and has all of these teams available, including the brand new Matsudan, Neo-Bots and Yndij! Pledge now! 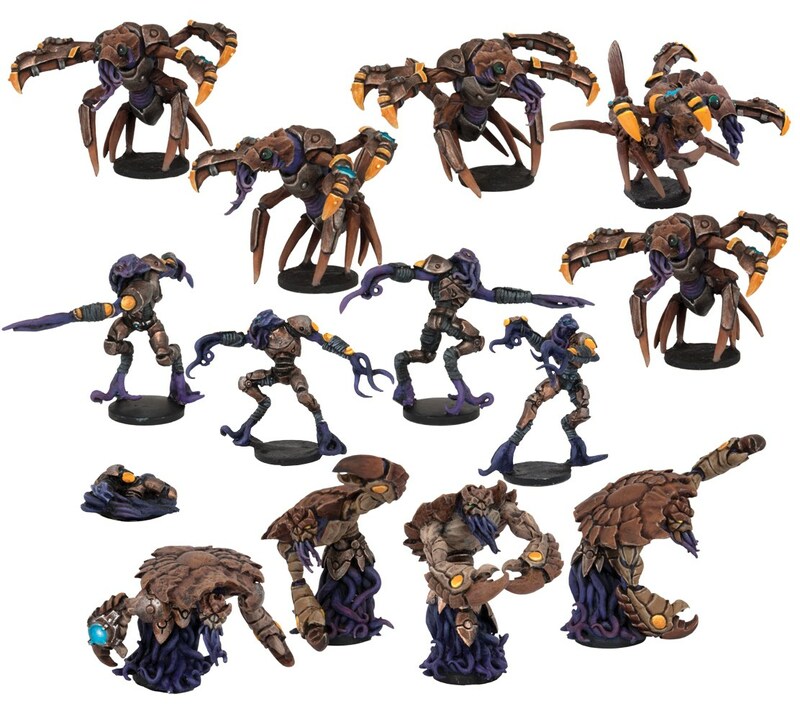 The post DreadBall Teams Spotter’s Guide appeared first on Mantic Blog.